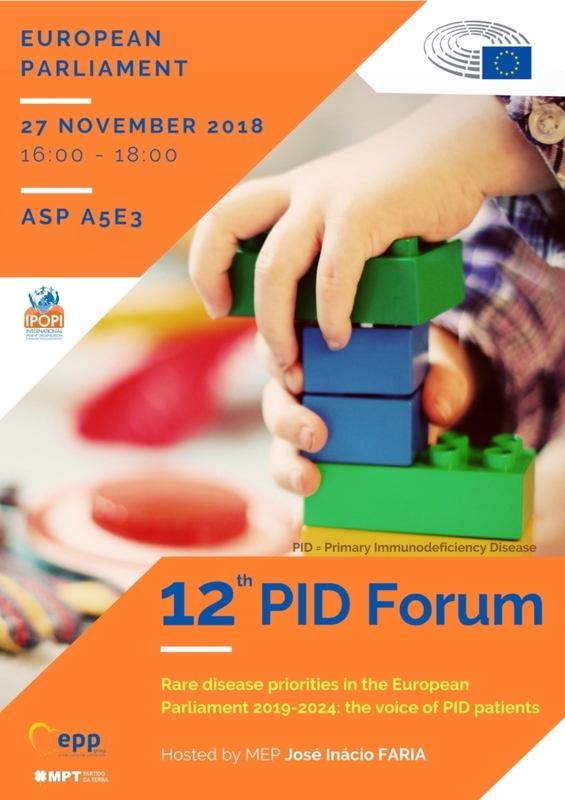 In anticipation of the upcoming EU Parliament elections, IPOPI held its 12th PID Forum on the topic “Rare Disease priorities in the European Parliament 2019-2024: the voice of PID patients” at the European Parliament (Brussels, Belgium) on November 27, 2018. This edition was chaired by José Inácio Faria MEP (EPP, Portugal) and had interventions from Members of the European Parliament representing five political groups: Dr Anna Zaborska (EPP, Slovakia), Mrs Sirpa Pietikainen (EPP; Finland), Demetris Papadakis (S&D, Cyprus ), Norica Nicolai (ALDE, Romania ), Ms Tilly Metz (Greens/EFA, Luxembourg ), Mr Takis Hadjigeorgiou (GUE/NGL, Cyprus). A document containing the political priorities for the next EU elections will be developed and published. 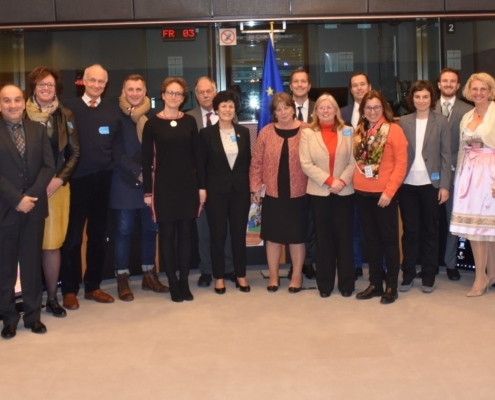 The objective is to provide a manifesto that will help profile the PID patient community priorities on the agenda of the new Parliament and gather new supporters, but also to support its EU-based National Member Organisations (NMOs) with a tool to use in their advocacy efforts, including in their interactions with their national politicians during the campaign. 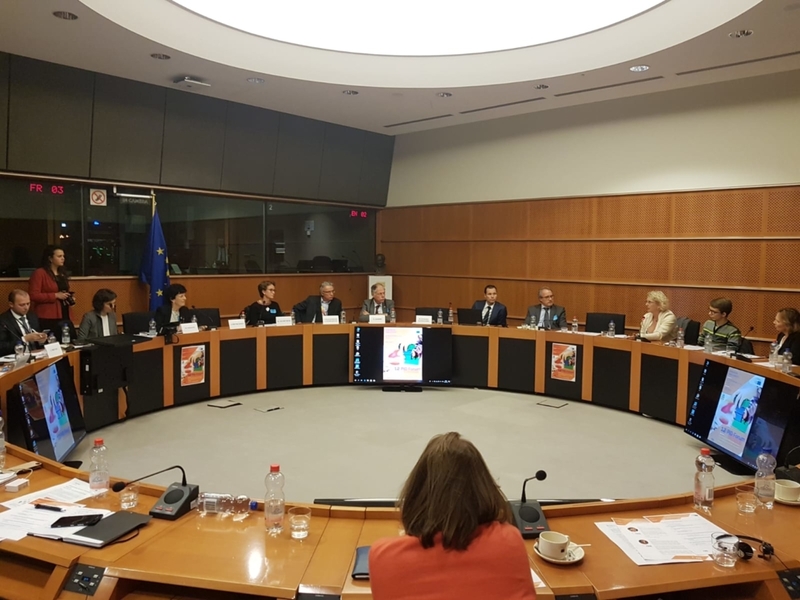 The Forum introduced the key challenges for the PID patient community to the European Parliament’s attention. 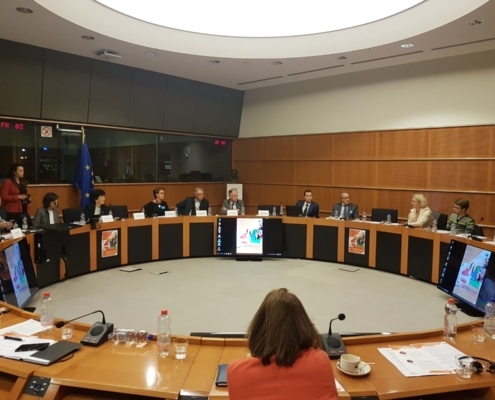 This topic is very timely as the elections to the European Parliament will take place in May 2019 and IPOPI aimed at presenting the key topics to PID patients to Members of the European Parliament that will be running for reelection. 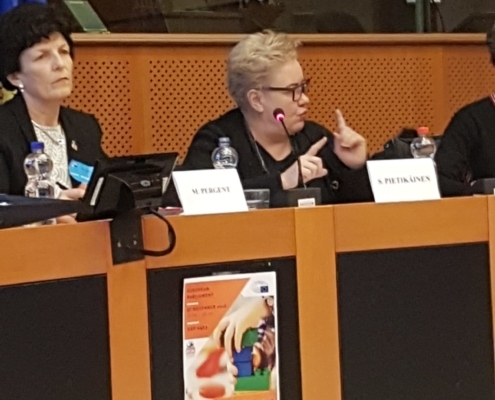 IPOPI President, Mrs Martine Pergent, chaired the meeting and introduced the MEPs and speakers who took the floor. Mr Johan Prévot, IPOPI’s Executive Director, provided a presentation setting the scene for the meeting on the key priorities of the PID community at EU level in the upcoming 5 years. 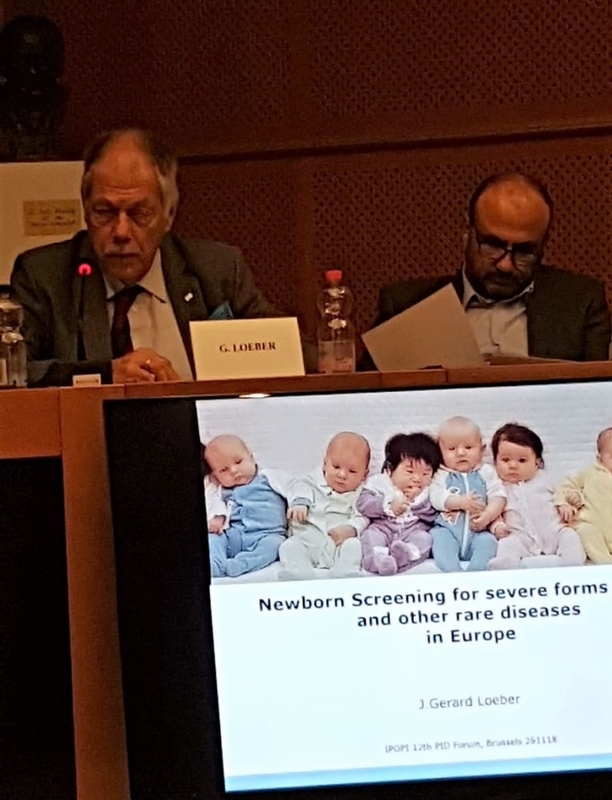 Dr Gerard Loeber, representative of the International Society for Neonatal Screening (ISNS), presented participants with key considerations on newborn screening. 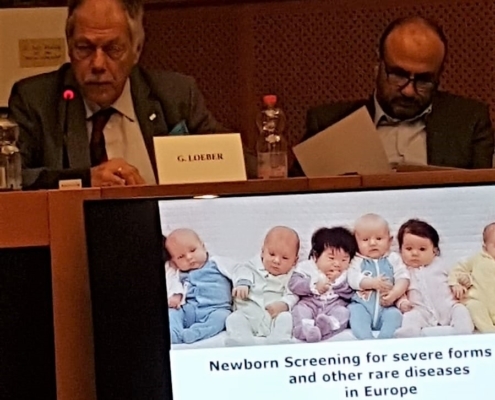 ISNS and IPOPI have partnered to call upon the EU for the promotion of information exchange and some guidelines addressing newborn screening at EU level. Dr Mirjam Van der Burg, Leiden University Medical Hospital in the Netherlands, went over the importance of improving diagnosis for rare diseases. 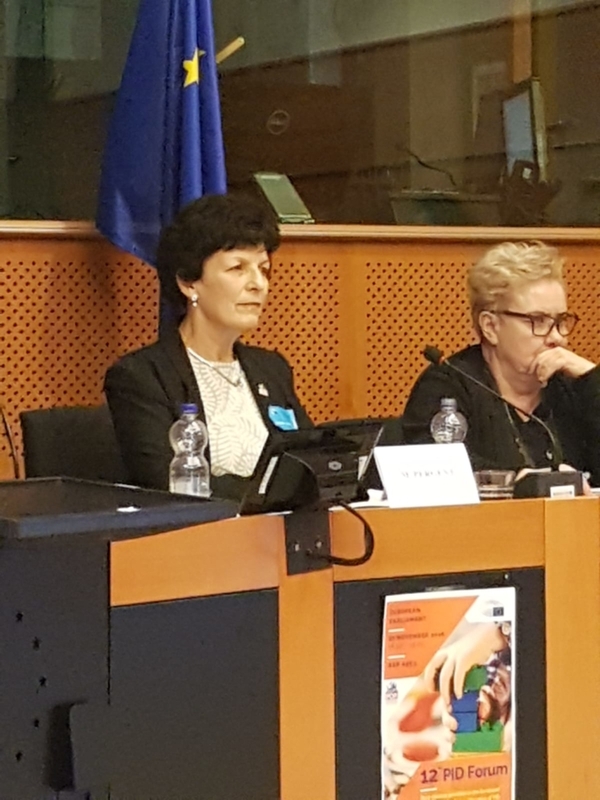 The difficulties faced by patients in different European countries to have access to their therapies was depicted by Mrs Pergent for the French situation, Mr Savvas Savva for Cyprus and Dr Susan Walsh for the United Kingdom. 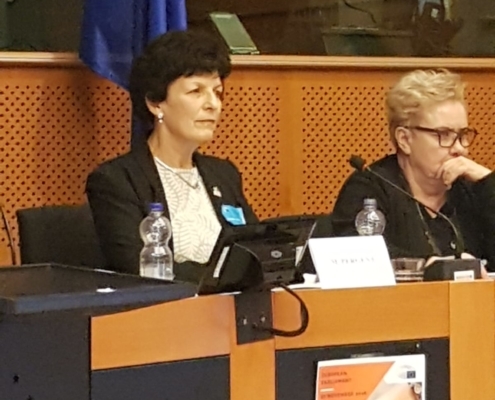 Interventions from speakers were then followed by the experiences from other patient representatives present, such as Mrs Jose Verstegen, from the Dutch patient group, Mrs Claudine Deckers, from the Belgian patient group, and Mr Steffen Ball, from the German patient group. 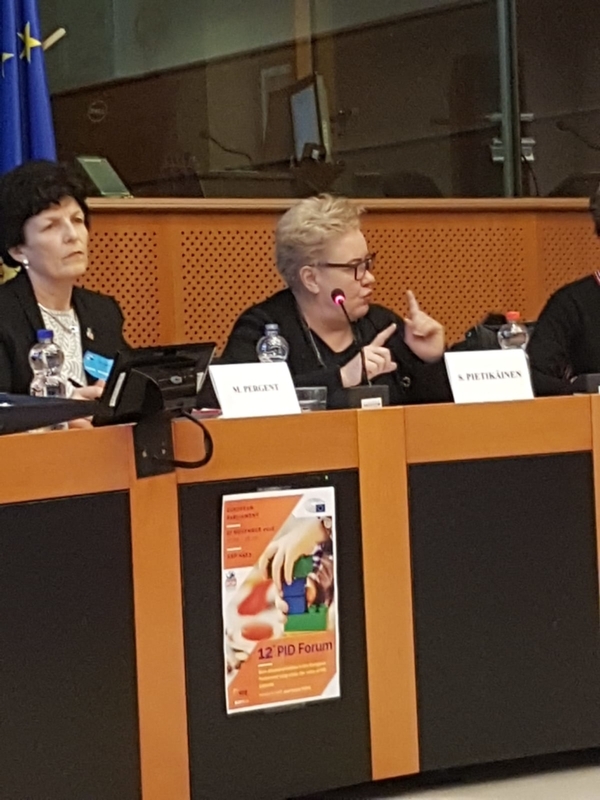 The meeting report, presentations and document on the political priorities will soon be made available on IPOPI’s website. IPOPI would like to thank CSL Behring, Grifols and Shire for their support towards this event.